The Teacher Leadership and Compensation System rewards effective teachers with leadership opportunities and compensation, assists in stronger support of new teachers, and fosters greater collaboration for all teachers to learn from each other. Improving student learning requires improving the instruction they receive each day. There is no better way to do this than to empower our best teachers to lead the effort. Through the system, teacher leaders take on extra responsibilities, including helping colleagues analyze data and fine tune instructional strategies. 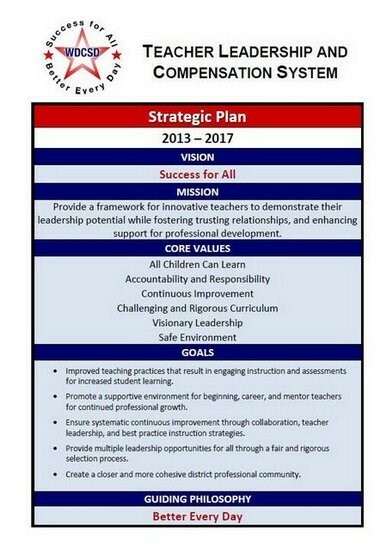 Western Dubuque Community School District's Teacher Leadership and Compensation Strategic Plan.